Conference tweets are a little like brunch pics on social media. Then again, sometimes you see a pic that makes your mouth water and you think, “Next time, that’s going to be me eating that yummy food.” Or you go into your kitchen and cook up something delicious right here, right now, inspired by your friend’s experience. Maybe that’s why we can be so manic on social media. We want other people to feel what we’re feeling. We want to share the glow. That’s what I hope to do when I share my experience at Stanford Medicine X, where the glow is so very bright. I want your mouth to water. I want you to get some of that good stuff for yourself, either by finding your way there next year or finding something similar locally. I put together a Storify to capture the spirit of the panel I was on along with Pamela Ressler, Meredith Gould, and Colleen Young (pictured above). The experience of preparing for that panel — and sharing the conversation so openly with the world on the livestream — was transformational. I think we are really on to something. I’m not going to let the fact that the conference ended stop me from continuing to push forward on what we learned together. I’ll add links to other sources of the Medicine X Glow if I spot them. Please post in the comments if you’ve got ideas about our panel topic: how to create, build, nurture, and spread community in health. And, related: how to share the magic of being at a conference (or brunch). Oh, and compliments to the chef, Larry Chu, and his crazy-talented crew who cook up Medicine X for us. Delicious, year after year. Thank you so much for this, and for making that Storify. That was an amazing panel, full of passion and insight and verve and inspiration. We are fortunate indeed to have you all! Thanks, Jeanne! We felt fortunate to be together with the community. 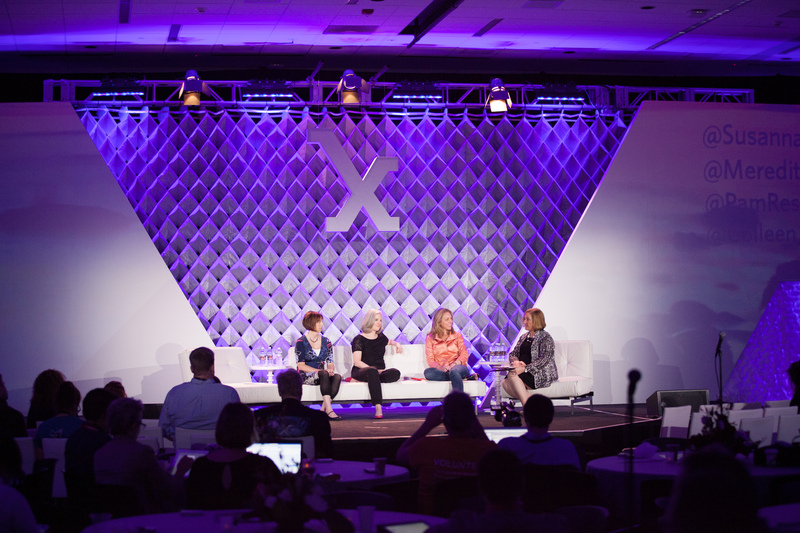 Jodi Sperber: Stanford MedX 2014: IRL FTW! Great tips! Thanks so much for sharing it, Christoph. I’m spending my early Saturday morning catching up on the Symplur transcript of our panel, replying to tweets and inviting people here to continue the discussion. The conversation is never over online and that applies to this blog. It is never too late to share a question, insight, anything — all are welcome. For example, @stales asked: How might we find communities that are working and build community to community connections?